Race to Erase MS is proud to announce that renowned rock and roll band Chicago will take the stage to perform at the 24th Annual Race to Erase MS Gala on May 5, 2017 at The Beverly Hilton in Los Angeles. The legendary, celebrity-filled gala has raised over $46 million to date for Race to Erase MS and its Center Without Walls program. Race to Erase MS founder Nancy Davis will host the event, where previously announced honoree Jamie-Lynn Sigler will receive the 2017 Medal of Hope Award. 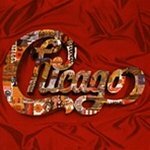 As the first American rock band to chart Top 40 albums in six consecutive decades, and having recently been ranked as the highest charting American band by Billboard Magazine’s Hot 200 All-Time Top Artists list, Chicago’s music is truly iconic. Their record sales top the 100,000,000 mark, and include twenty one Top 10 singles, five consecutive Number One albums, eleven Number One singles and five Gold singles. An incredible 25 of their 36 albums have been certified platinum, and the band has a total of 47 gold and platinum awards. Chicago’s award-winning documentary film, “Now More Than Ever: The History Of Chicago” premiered on CNN on New Year’s Day and ranked No. 1 among adults 25-54. In 2016, Chicago was inducted into the Rock and Roll Hall of Fame, two years after their first album, Chicago Transit Authority, was inducted into the GRAMMY Hall Of Fame. Band members Robert Lamm and James Pankow, the legendary songwriters behind mega-hits such as “25 or 6 to 4,” “Saturday In The Park,” “Feelin’ Stronger Every Day,” and “Make Me Smile,” will become the latest inductees of the Songwriters Hall of Fame at the organization’s 48th Annual Induction on June 15, 2017. Chicago and The Doobie Brothers recently announced their co-headline North American summer tour kicking off June 7, 2017 in Concord, CA. This 2017 tour will mark the band’s 50th consecutive year of touring, having toured every year since the beginning, and without missing a single concert date. Chicago continue to be true ambassadors for their beloved hometown, carrying the city’s name with pride and dignity around the world.